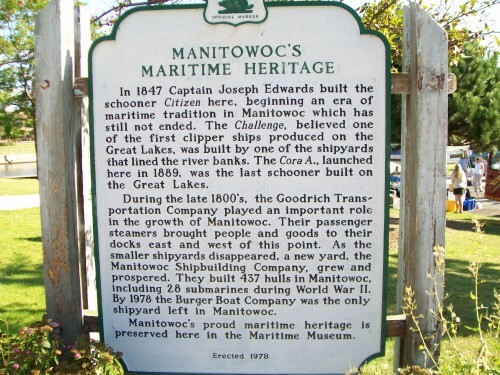 Manitowoc is one Wisconsin’s largest Harbor Towns with rich maritime history. Located on 75 Maritime Drive, its hard to miss! 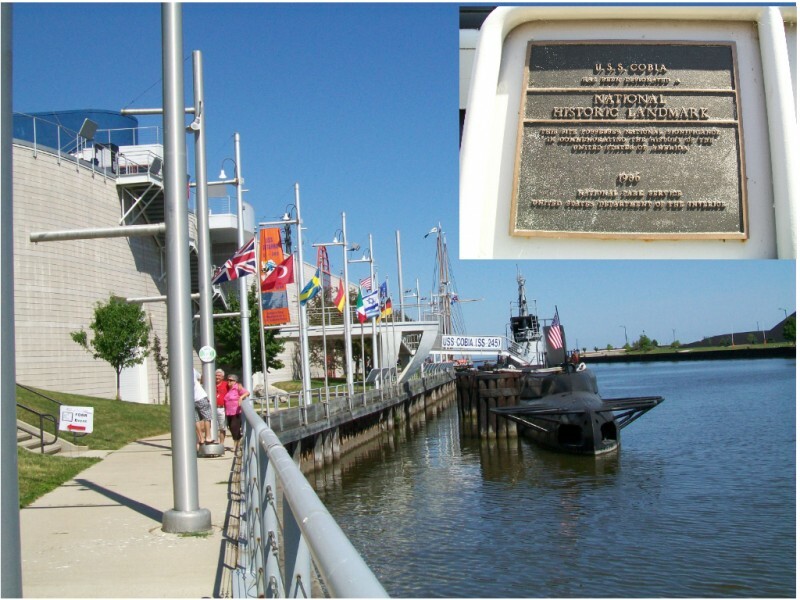 Here is the museum from across the water, the sub USS Cobia docked alongside. It is nearly as long as the museum! With your admission you also get a tour inside the Cobia! 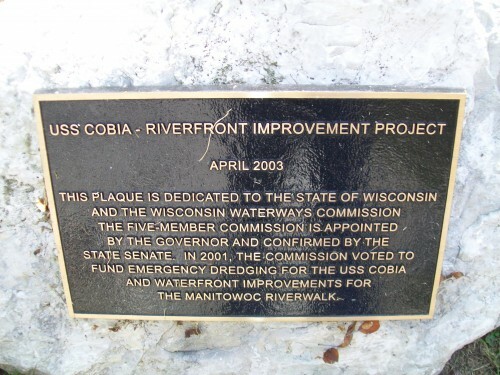 First some history on a couple of markers outside. 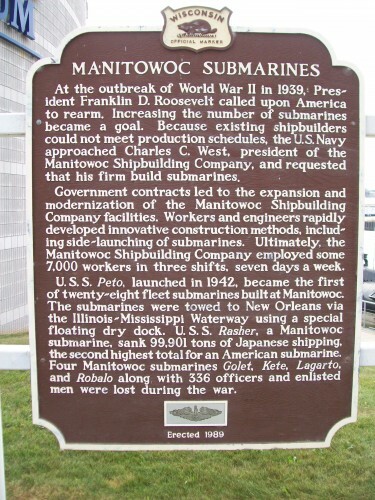 There are a great many exhibits inside, showing the rich maritime history of the Manitowoc-Two Rivers area. 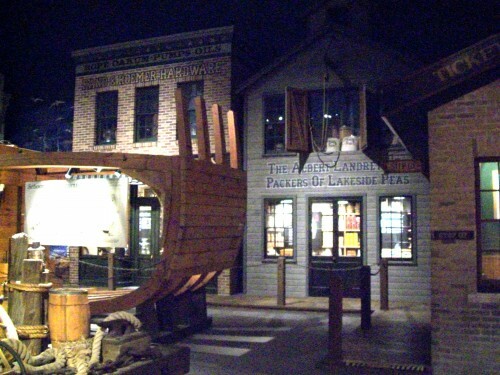 Even what it may have looked like as a small fishing village long ago. 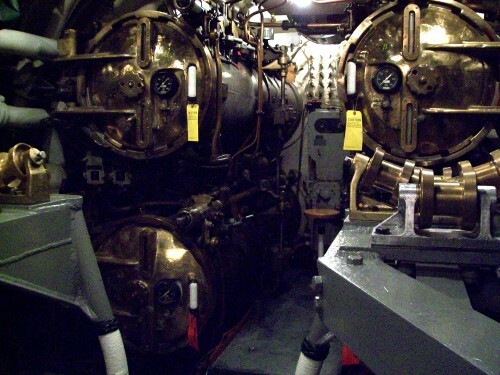 After walking through the museum on our own, it was time for our guided tour of the submarine USS Cobia docked outside. 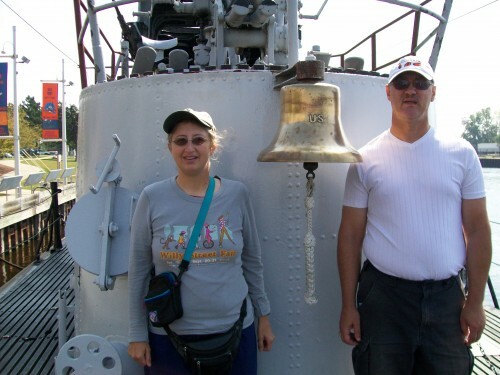 We had our picture taken in front of the bell before descending. We had a great time here. There is a lot to see so give yourself plenty of time. 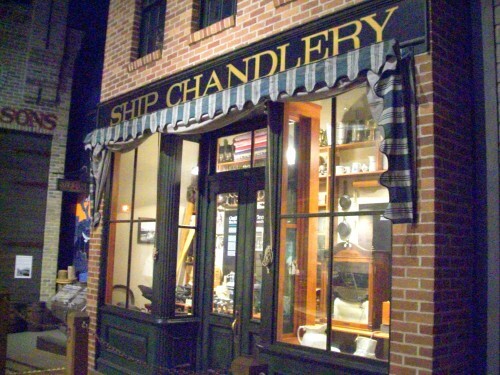 We have visited several times already and due for another visit, our last one was in 2010. Beautifully done Laurie! This was very informative, and with your pictures, will be the closest I’ll ever get to see this magnificent museum. Thanks Mom, we hope to get back there again now that I have a better camera.